No stranger to wildlife, Nick Jans had lived in Alaska for nearly thirty years. But when one evening at twilight a lone black wolf ambled into view not far from his doorstep, Nick would finally come to know this mystical species-up close as never before. 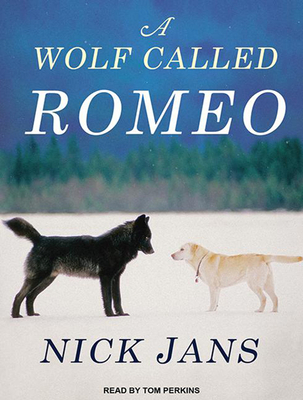 A Wolf Called Romeo is the remarkable story of a wolf who returned again and again to interact with the people and dogs of Juneau, engaging in an improbable, awe-inspiring interspecies dance and bringing the wild into sharp focus. At first the people of Juneau were guarded, but as Romeo began to tag along with cross-country skiers on their daily jaunts, play fetch with local dogs, or simply lie near Nick and nap under the sun, they came to accept Romeo, and he them. Written with a deft hand and a searching heart, A Wolf Called Romeo is an unforgettable tale of a creature who defied nature and thus gave humans a chance to understand it a little more. Nick Jans, an award-winning writer and nature photographer, is the author of several books, including "The Grizzly Maze," "Black Bears of the Mendenhall Glacier," and "The Glacier Wolf." He is a contributing editor to "Alaska" magazine, and he has written for "Rolling Stone," "Backpacker," and the "Christian Science Monitor." Nick lives in Alaska. Visit him at nickjans.com. An award-winning audio engineer for over forty years, Tom Perkins has expanded his skills to narrating and has more than twenty titles to his credit. He learned by working with the world's best voice talent during his career and continues to engineer a variety of projects.